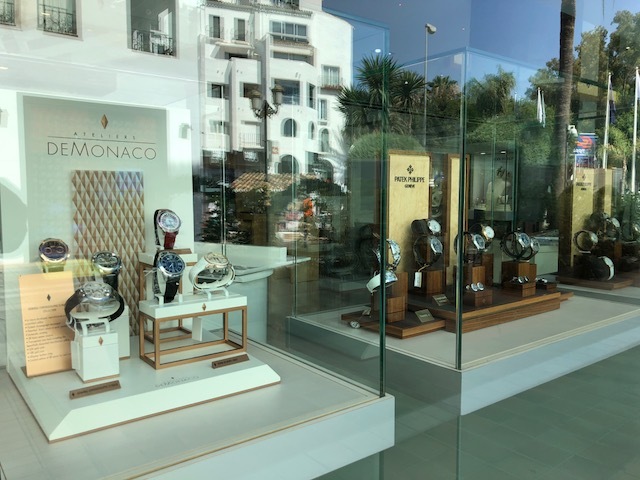 Ateliers deMonaco has integrated the Marbella’s most prestigious boutique: Gomez Y Molina. 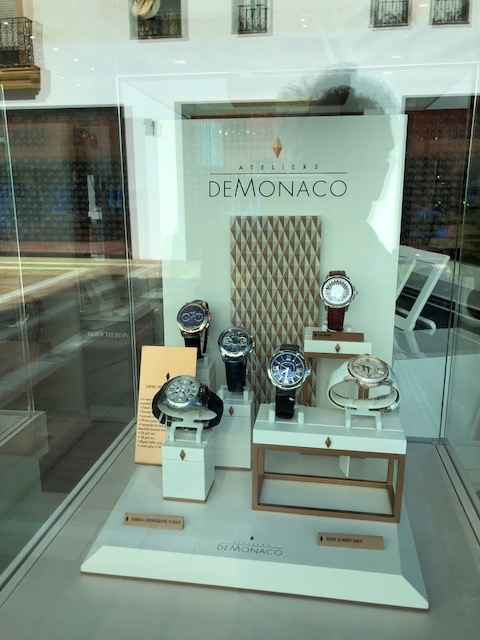 Ateliers deMonaco is proud to be on display at Gomez Y Molina, Marbella, Spain. The most prestigious store of the city. Located Puerto Banus Paseo Benabola s/n 29660 Puerto Banus, feel free to visite the boutique during your summer holidays. Enjoy the late opening hours to see our new models. This entry was posted in Retailers and tagged #dmc, #espana, #watches, Admiral Chronographe Flyback, atelier, ateliers, Ateliers deMonaco, deMonaco, Diamant, Diamond, Espagne, famous, La Sirène, luxe, luxurious, Marbella, Monaco, Montre, noblesse oblige, ronde de monte-carlo, Spain, swiss made, timepiece, timepieces, tourbillon, watch.